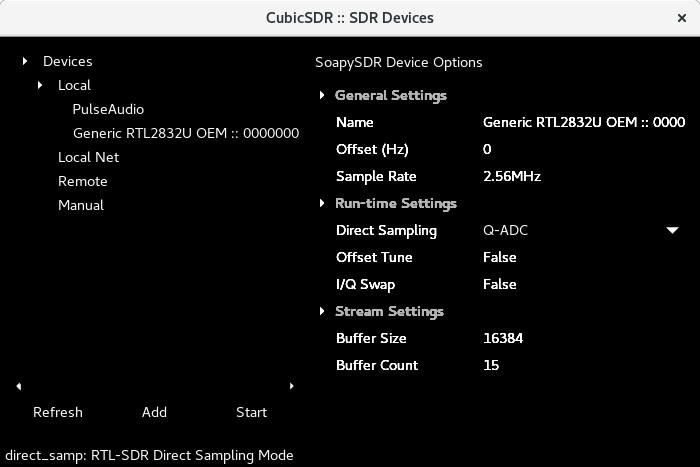 There's a nicely put together rtf-sdr receiver box available on Ebay from China for about AU$45 with the direct sampling modification for HF already done for you and separate inputs for HF and VHF+. There are several sellers so shop around. 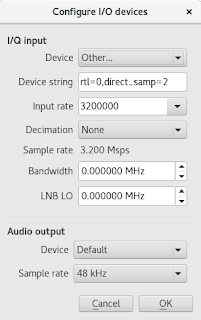 On my recent weekend visit to Kevin, VK2KB, I helped to get it going under Windows using SDR# software and this prompted me to get mine going at home under Fedora linux. One mistake I've made before is that some USB cables seem to come wired only for charging and don't wire up the other USB connections. I wasn't seeing the device in lsusb and when I tailed the log (which, incidentally, has changed under Fedora since I last looked, to be sudo journalctl -f), there was no chatter as the device was plugged in. Trying alternate cables fixed this. 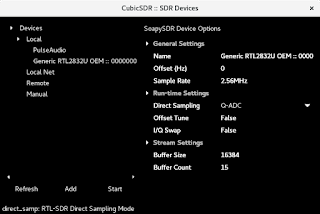 CubicSDR saw the device but couldn't receive until I blacklisted the built-in TV reception driver by creating a file /etc/modprobe.d/blacklist.conf and entering blacklist dab_usb_rtl28xxu in it. Then I rebooted. (There's not much on at this time of day). To answer Carlo's comment below. Here's the wiring from dongle to board (marked in red). The antenna is just a random wire (2 meters). Could you comment the details of the complete set (computer, antenna, cables) ? 2 meters of wire is not really enough for HF reception. It will probably be fine for FM (100Mhz) but not for 1MHz etc. First check that you can hear local FM stations so make sure your SDR is working, then try a long wire, perhaps 10m running out the window to a near by tree or structure. 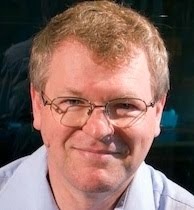 I can listen the local FM station, so part of the circuit is fine. I will try a longer wire. 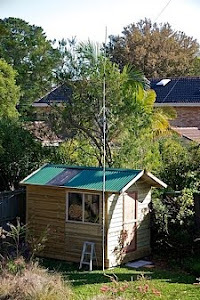 The antenna I use is a long co-ax run to a dipole strung up between a tree and the house. 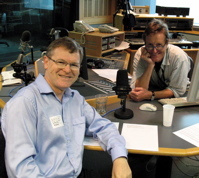 receive some ham transmissions and few broadcast stations. 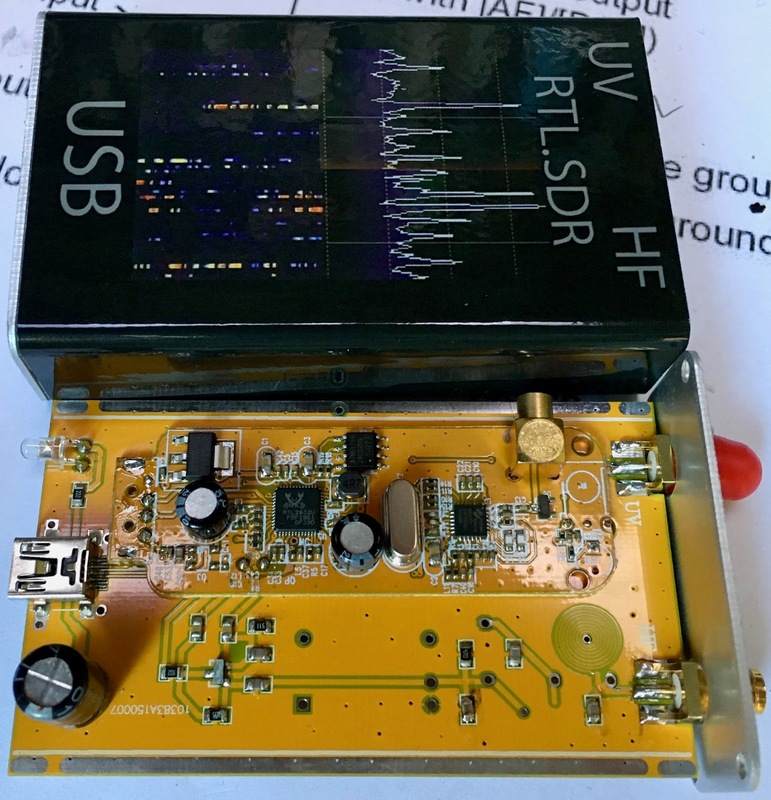 I recently bought a similar SDR unit on ebay and unfortunately it was a defective unit. The seller decided that it would too costly and a hassle to have to return it so they gave me a partial refund and said I could keep it. So, I decided to open it up and see if it might be a cold solder on the USB connector. Sure enough, there was. 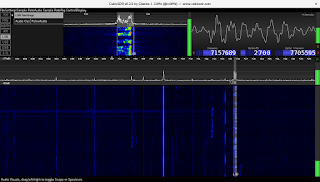 Now, the device is being recognized by my computer and I am able to pick up the VHF/UHF frequencies. 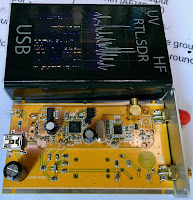 However, I could not pick up any HF signals and noticed that the connecting to the HF antenna input made no difference. So, I looked and noticed that when I touched the area of the RTL board where the Q input was supposed to be connected to the HF antenna circuit (on your board it is where the labels C43 and L12 are), I was able to pick up local AM stations very clearly. I just want to verify where those solder points are connected to. 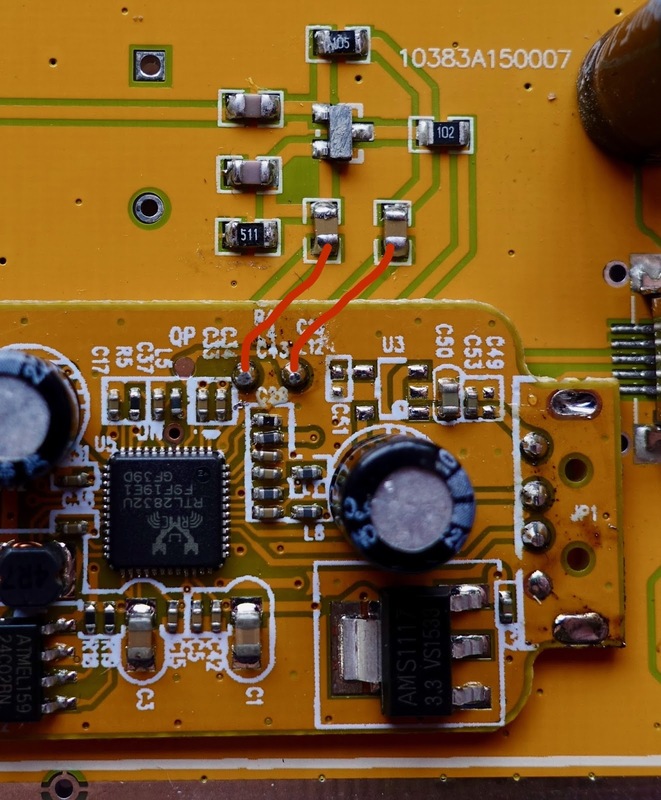 My board has some extra holes on the antenna board and I want to verify if those solder points are really supposed to connect both boards together or if it is connecting elsewhere. I tried connecting a wire directly from the Q input to the SMA connector, but I think the extra components are loading the signal. I just get static. So, I'm trying to find out exactly where those points are suppose to connect. Thanks for you help. I have added an image to the post above showing the wiring from those two points in red. Thanks for the update. 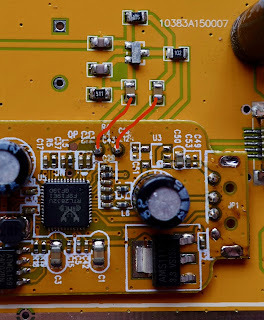 It seems that the signal can now reach up to the group of components around what looks like a transistor, but for some reason I'm just not getting anything from the SMA connector. Thought maybe it's missing some jumper on the back, but I couldn't find any connections that made a difference. Thanks anyway! I just got one of these too and am having the same problem as drummer! 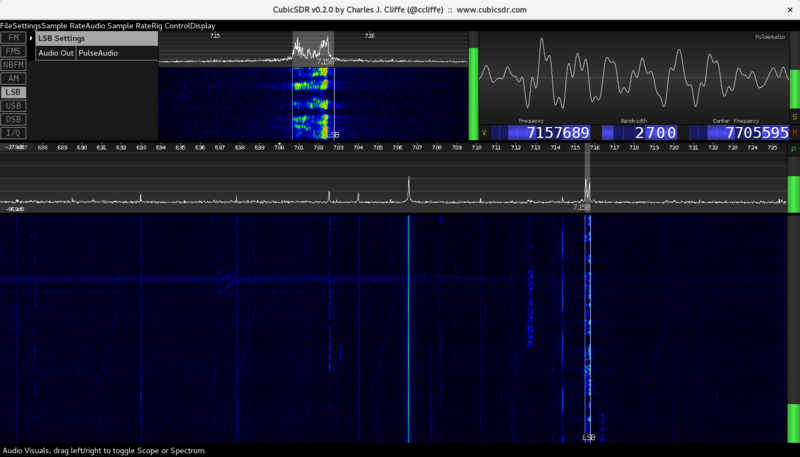 Seems like the HF input is deaf! I did have to reflow the USB connector to get this thing recognized so I'm thinking there must be a solder problem somewhere.